Something as sinister is evidently behind the litigation against Alex Jones. As with most citizens, I have not had time to study Sandy Hook in full depth, yet it is manifest that Sandy Hook could not have happened as it has been reported to us by public authority and major news media. We know from bare facts stated by Dr. Eowyn, in her internet-accessible article showing that the Sandy Hook Elementary School was closed in the year 2008, and that, therefore, the alleged massacre in December 2012 did not happen. From the closure of the school in 2008 alone, the litigation against Jones over Sandy Hook stinks of dishonor to our country. If we are going to talk about conspiracy theories, as if such thinking were a sign of mental imbalance, let us remember that Abraham Lincoln believed in conspiracy theories. His “House Divided” speech is an outstanding exposition of why and how we should infer concert from circumstantial evidence in history and politics. Winston Churchill and Benjamin Disraeli believed in conspiracy theories. Those in the press who denounce conspiratorial thinking, including those behind the suit against Alex Jones, are wittingly or unwittingly domestic enemies of the United States. 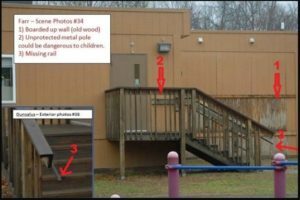 The bare facts from which the closing in 2008 may be inferred were outlined in her article, “Sandy Hook hoax: 6 signs that school was closed before massacre”. I invite all curious, honest, and patriotic citizens to read this article. We have here a prima facie case that the school was closed in 2008, from comments of neighbors to the school, from reports of contamination of the school with asbestos requiring expensive repairs, from photos showing the school was abandoned at the time of the incident as broadcast across the country, from the absence of handicapped parking spaces required at the time of the claimed incident, from the absence of internet activity between the school and the outside from 2008 to 2013, and from the testimony of Wolfgang Halbig at his FOIA hearing in the spring of 2015. Dr. Eowyn, “Sandy Hook hoax: 6 signs that school was closed before massacre” (Fellowship of the Minds, 9 September 2015). B.A. in philosophy 1963, LL. B. 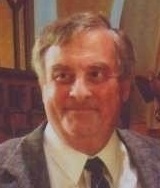 1966, University of Minnesota; admitted to the Bar of the Minnesota Supreme Court, 1967; admitted to the Bar of the United States Supreme Court, 1971; Public Defender, United States District Court for Minnesota, 1969-1973; Founding professor, teaching common law pleading, judicial writs and remedies, American constitutional law, admiralty, copyrights, legal writing, conflict of laws, legal history, and modern civil procedure, and serving as chairman of the admissions committee, Hamline University School of Law, 1972-1980; Advisor on questions concerning constitutional law and equitable remedies to the Minnesota State Board of Bar Examiners, 1974-1978; Special Counsel for the City of Brainerd, 1974-1980; Crow Wing County Public Defender, 1981-1984; Crow Wing County Attorney, 1991-1995; Occasional lecturer in comparative British, American, and Canadian constitutional law at Laval University, 1989-1991, 1997, and 2000, and in public international law, 2003; and Advisor on British constitutional law and history to the court-appointed Amicus Curiae for Quebec before the Supreme Court of Canada in Reference on certain Questions concerning the Secession of Quebec from Canada,  2 S. C. R. 217. Thank you for exposing the lawsuit against Jones as the frivolous litigation that it is. It is worse than shakedown litigation, it is litigation seeking to neutralize alternative viewpoints. This can be more broadly contextualized as part of a concerted collusion to stifle unorthodox views. Cass Sunstein’s proposal to ban or fine “conspiracy theories” was part of the insidious attempt to make an end-run around the First Amendment. Your examples of Lincoln, Churchill and Disraeli recognizing government conspiracy make an excellent point. This effort, to narrow the range of permissible discussion to Orwellian Newspeak, is rooted in modern American culture in the weaponizing of the term “conspiracy theory” by the CIA in the 1960’s. Of course, the CIA’s agenda was the survival of itself and the entire shadow government, that it is part of, in the wake of the military/intelligence coup that assassinated JFK. It seems “Fellowship of the Minds” has now been shut down. You don’t mention that this suit (it is actually two suits, since for some reason William Sherlach file a separate identical suit) was brought against Wolfgang Halbig, too. While Jones has a wealthy organization to back him up, Halbig does not–and Halbig is the person who has been most dogged in his investigation, coming up with some truly stunning information.